I had to fire up my 11-year-old PowerBook G4 laptop in order to find this picture. Can’t believe that thing still works. I had just turned 18. I was covered in a cold sweat from the February gymnasium air. I had my red, white and blue wrestling singlet on. My black Nike mesh shorts. My Asics black and white wrestling shoes tied way too tight like always. My headgear laid on the floor next to me as my head laid even lower. A few minutes before I had lost my second match in the Virginia AA Wrestling Regionals. That meant I was out of the tournament and my four years of varsity wrestling was over. My 119lb body, which was north of 140lbs back in November, that could run 7 miles without being winded suddenly felt worn out. As I sat on that floor so many emotions and memories ran through me. Anyone who has every knowingly competed in a sport for their final time can relate. When you are that deep into something you feel complete. The amount of effort I put into wrestling was astronomical. Running literally an uncountable amount of laps in the hallways before practice. Up-downs. Monkey rolls. That stupid circle from Vision Quest where you got up and ran around all the guys laying down then the next guy got up where in my junior year one of the seniors accidently stepped on my ankle which was the only time I ever had to go to the trainer but I sucked it up and wrestled the rest of the season on it even though it was probably severely sprained or worse. At that moment as I sat on that hard gym floor, my back against the cinder brick wall, I told myself I’d never do something like that to myself again. It felt like I was the most tired 18-year-old on the planet. Sitting there felt like an eternity when it was probably less than a minute before my dad walked over. He nudged me with his foot. I looked up. “Want some pizza?” he asked. I bit into my second slice of lukewarm Papa Johns off of the white paper plate we got at the concession stand in the hallway of a high school in Orange, VA. Never again I told myself. Fast-forward, jump cut, wipe or cross-dissolve your way 12 years into the future. At almost 30 I consider myself successful. I’m college educated. I run a steady self-employed company. I write on multiple websites, podcast, have a fledgling YouTube channel, have the best wife and dog in the world, travel the world on occasion, get to see friends and family whenever I want, have no health concerns and overall a pretty happy guy. Why does it feel like there’s constantly something missing? I could be wrong. I could be 100% wrong about this whole thing. But I think I know what’s missing and it’s on that gym floor in the middle of Nowhere, Virginia lying next to my wrestling headgear. It’s not the wrestling mat. It’s not sprawls or takedown drills or pushups (even though I still do at least 50 a day). It’s that all-in dedication to doing straight up hard work. No one, at least no one I can imagine, vomits in the hallway trashcan after writing a blog post or recording a podcast. This stuff is still straight up hard work but of another kind. Anyone can find 15 a day to write a blog post and publish it everyday for a year and a half like I have on my other site. That’s difficult and takes a hell of a lot of dedication. But it’s not like the straight up hard work that went into wrestling. 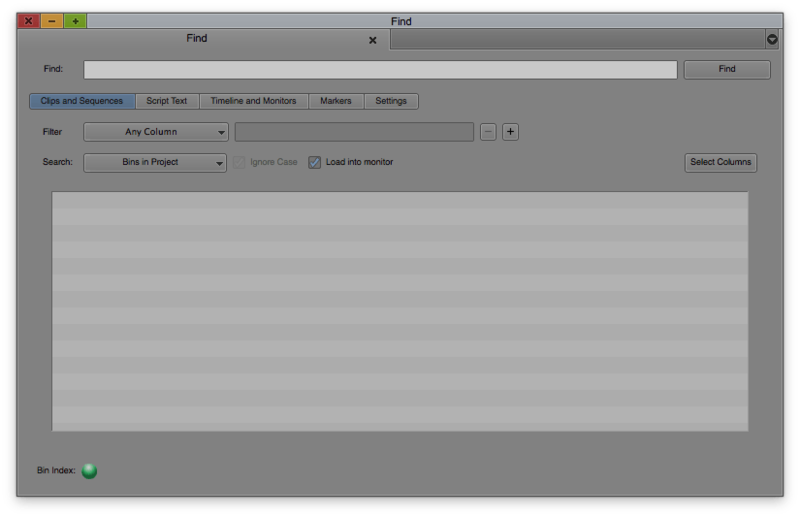 Anyone can find an hour or two a week to write a newsletter and cut a quick tutorial. It’s scary to put yourself out there to the world like that. But it’s not like the straight up hard work that went into wrestling. What’s like wrestling is completing this massive list of unfinished projects or projects I haven’t even begun that I stare at everyday. I haven’t been doing straight up hard work for you and I’m sorry. I can blame those early mornings before school sitting in the sauna at the community center a county over in order to cut weight. I can blame those offseason bleacher runs. I can blame any number of things or memories or the residual pain left in my right shoulder from this one match that took everything out of me but I won 2-1 in overtime, securing a tournament win for my team. I haven’t been doing straight up hard work for you and I’m sorry. I have no action plan. I have no idea where to begin. Outside of completing the above massive list of projects I don’t know what straight up hard work for Edit Video Faster even looks like. But I know it’s something that I have to do in order to feel whole, to feel complete again. I’d love for you to stick around for this journey. If you’re new around here I recommend starting here. If you have any thoughts to share or old wrestling stories leave them in the comments below or send me a private message here. Written Saturday January 7th, 2017 at 2:10am. Okay, one more picture. I can’t help myself. Today begins my by 13th week of freelancing. I’m (verrrrrry) far from saying I’m comfortable. However I’ve never been happier with my employment situation or made more money than I am at this very moment. I’ve also never had this much uncertainty on where I’m finding my paycheck each week or never worked so hard. 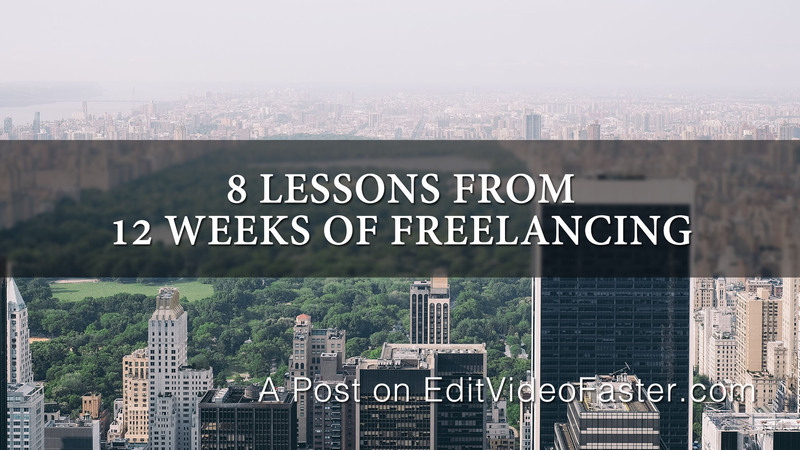 In this post I want to share with you 8 lessons I’ve learned so far in my freelance journey. I hope they can help you if you are a freelancer, are looking to make the transition to being a freelancer or just are interested in life as a freelance video editor. Work will find it’s way to you. It just does. I can’t 100% explain it. But somehow you will find work. Maybe it’s because your back is against the wall. Maybe it’s because you’re reaching out to people you normally wouldn’t reach out to (more on this in a moment). But you will find work. I have found that it’s a domino effect. Once you get in at one place and you do an awesome job you’re more likely to get referred for a different job that you’ve never even heard of before. Making the jump to freelance feels like you jumped out of a plane with no parachute and you are scrambling to tie one together as you plummet towards earth. You will figure it out though. You’ll make your parachute and it’ll slow you down for a few moments then it’ll get ripped from your hands and you have to create another one. The work will come. The work will only come if you ask for it. Let me repeat: You have to ask for work in order to get it. No one will hire you out of the blue. You have to email, call, text, LinkedIn, go to networking events, talk to people at bars, Tweet, Snap, and Insta your way into finding work. A few weeks ago I made a short vlog about what I’m doing to find work you might want to check out. Here’s my #1 takeaway. You can stop reading after this if you want. Ask for work and tell people you are looking for work. Explain what you can do for them and how hiring you will do X, Y and/or Z for them. Face-to-face is always best but if you can’t meet up any of the aforementioned internet tools work as well. As freelancers we have to pay for our own social security and other taxes that full-time employees don’t because companies pay for them. We also have to pay self-employment tax. Essentially ~27-30% of whatever you make as a freelancer in the US is going to go to taxes. And you are responsible for paying that quarterly. So when you are giving your rate or bidding on a job remember that you will not see 100% of that. Roughly every $100 you make, you’ll only see $70. This is something I didn’t think about when I was a full-time employee. I just got my paycheck every two weeks and that was that. I knew what to expect and how much I made a year. So when I went into #freelancelife I thought at first, “hey I can just bid on jobs that’ll equal my paycheck and I’ll be making the exact same with all this freelance freedom.” False. That thinking undercut me by 30% which is a big decrease in payment. Since then I’ve raised my rates to make up for this. So instead of thinking I’d making $100, charging for $100 and ultimately making $70 I am now charging $130 and making $100 when I should be making $100. Make sense? I never realized how many “things” you can claim on your taxes. Essentially how it works is that you keep track of business related expenses and this gets deducted from your yearly income and you end up paying less taxes. So if you made $60,000 a year but had $10,000 of business expenses you only pay taxes on $50,000 worth of income. QuickBooks is an online tool where you can keep track of your business income and expenses and track how much you need to pay for taxes. Each week, typically Thursday, I spent about 45 minutes 1) logging my miles 2) logging my invoices and 3) logging my expenses. I do not have this linked to my bank account (yet) so I manually go through my online bank statement transaction by transaction. Even though this kinda sounds like a pain I actually oddly enjoy it. It gives me a chance each week to review what I’ve been spending my hard-earned money on. As much as I love Starbucks seeing 5 Starbucks transactions for $2.31 a day adds up after awhile. I never noticed until I actually looked each week. I’ve been using the same 2TB Fantom G Force Drive external hard drives for years. I keep my main hard drive clean and have a backup of all the essential elements on my computer. Once I started freelancing and needed to use it more than for EVF video tutorials and small side projects and I couldn’t clean it as often it became apparent I needed an extra hard drive just for current freelance projects. I moved all my vital elements (templates, music tracks, generic lower thirds and background, etc.) onto a new hard drive and it’s 100% dedicated for freelance work. I actually need to hit up Amazon and buy a backup drive now. Treat each client like you would when you had a brand new girlfriend or boyfriend when you were 16. Woo them. Pretend you are Steve Harrington from the first few episodes of Stranger Things. Say nice things to them. Buy them presents. Think of them night and day. Make them feel like they are your one and only. In the video world that means do the little things for free, especially at the beginning. If there’s a shoot and you’re going to be editing that project and it doesn’t inconvenience you too much, volunteer to go to the shoot!! Heck, maybe help out. 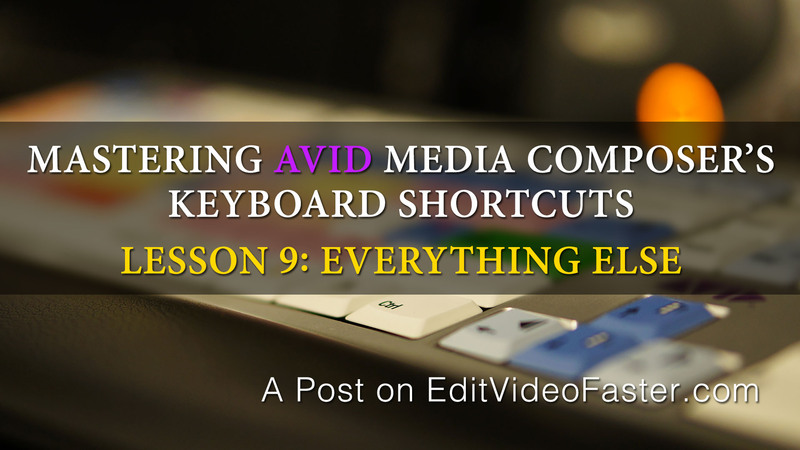 You might even be able to give your input that’ll save you in the edit bay. That’s just one example. The bottomline is that when you can do small things for your client that’ll improve the final product or your relationship, just do them! Don’t think about hourly rates or not getting paid. I promise you it will pay off in the end. In the full-time editing world it gets really easy, almost too easy, to just go by the book. The producer told me to do X and I’m going to do X even though I know it’s wrong. Then you can point fingers and say, “it wasn’t me!” because you are getting paid anyway. Yes, this is horrible work ethic but I know it happens. In the freelance world doing this only hurts you. It’s so vital that each project goes well so when you see something that you know is going to be wrong and even though you’re going to step on some toes you gotta speak up. Your goal is to deliver the best video you can in the most timely manner. Do that. Work will come but you have to ask for it. Be aware of taxes. Estimate what you’ll make after taxes and know what you can write off and how to keep yourself organized with a tool like QuickBooks. Get another hard drive just for freelance work. Doing the little things for free and being proactive will pay off in the end with your clients. Thank you so, so much for reading this post. If you have any lessons of your own that you’ve learned while freelancing or any questions please leave them in the comments! One last thing. If you aren’t signed up to receive the Video Editor’s Digest and updates for new posts I’d love for you to click here and sign up.